Lunchtime Facial Running low on time? We offer a facial specifically for you! Includes cleansing, exfoliating, toning, moisturizing and UV protection. Suitable for all skin types. We specialize in medical, surgical and aesthetic dermatology, including a wide range of laser treatments. We are committed to providing outstanding and comprehensive skin care for all ages. We are pleased to offer our patients the only Narrow Band UV-B Phototherapy available in the Wilmington area. 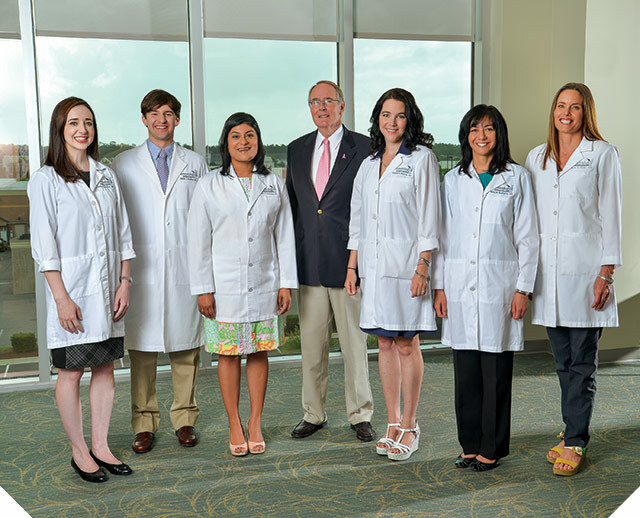 All of our dermatologists are Medical Doctors and are board certified and Fellows of the American Academy of Dermatology. Michael Donahue, M.D., F.A.A.D., Kimberly Edwards, M.D., F.A.A.D., Nancy Cunningham, M.D.,F.A.A.D., Marie Hardy, M.D. F.A.A.D.